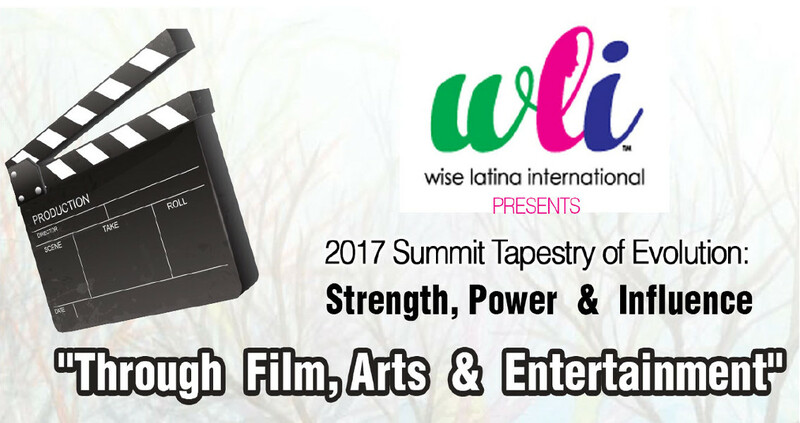 Wise Latina International’s Annual Summit: “Tapestry of Evolution: Strength, Power & Influence” will take place Saturday, June 17, 2017 at the Chamizal National Memorial from 8:00 a.m. to 4:00 p.m. Located at 800 S San Marcial St, El Paso, TX. The purpose of this summit is to promote & encourage economic, educational, health, socio/political empowerment for the betterment of Latinas, Women, Family and Community by utilizing & developing leaders while encouraging professional & personal development. 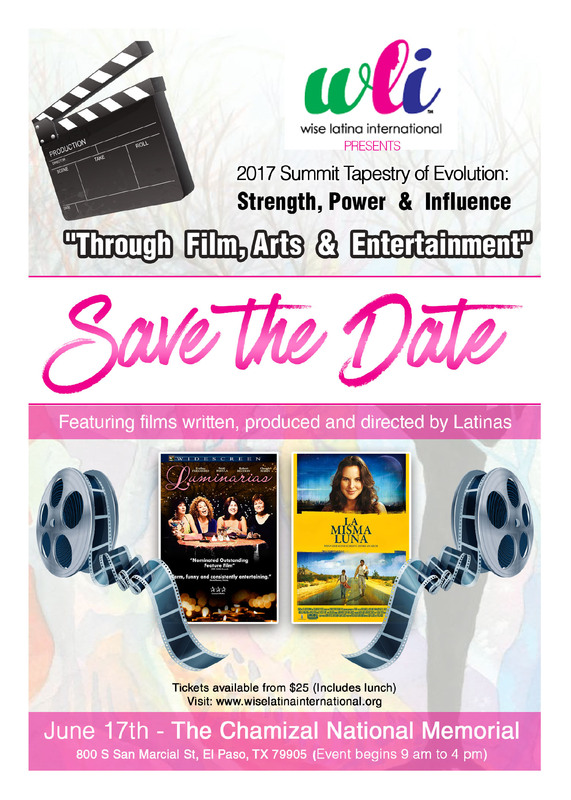 The Summit will feature films written, produced and directed by Latinas that entertain but also address critical issues. The festival aims to create and encourage dialog through Breakouts/Panels and conversations with producers, writers and actors on how film and media shape and impact the image of Latinas in the U.S.
Evelina Fernandez: playwright, writer and actress who has starred in film roles with Edward James Olmos (American Me), Paul Rodriguez and Cheech Marin. Her career began in Luis Valdez' Zoot Suit as the female lead in the original stage production at the Los Angeles Mark Taper Forum. Evelina is a poet, playwright and writer, whose play Luminarias became a groundbreaking film. The film;s achievement aside from its significance for Latinas is the fact that it was made for less than $1 million and funded with donations of as little as $500. It was a community and grassroots effort never accomplished in the history of film making in the Latino community. Ligiah Villalobos: the Writer and Executive Producer of the indie hit film Under the Same Moon, (La Misma Luna) and was the Head Writer on the Nick Jr. TV show, Go, Diego! Go! She is also the writer of the Hallmark Hall of Fame movie, Firelight, for which she won a Humanitas Prize and was produced by Alicia Keys and Mary Martin. More recently, she co-wrote the Lifetime movie The Real MVP, based on the true-life story of Kevin Durant’s mother, produced by Queen Latifah. Villalobos has also contributed to Americana Magazine, The Huffington Post and The Black List Blog.